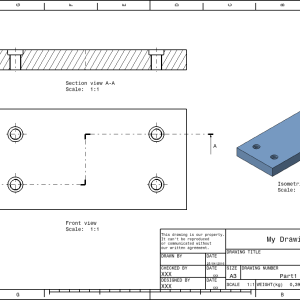 When you design a part you must be permanently focused on how will be the part executed, if the machine can execute all operations without complications. Less operations to be executed => save time and money. I will show you in the below video how to use the Drafting module in CATIA V5 in most important steps. I recommend to read the CATIA V5 help (available when you press F1 key or on toolbar go to Help -> CATIA V5 Help). Choose or modify the right size for your Drawing. How to insert a Border or a Title Block. Custom settings (Scale, Page orientation (Portrait, Landscape)). 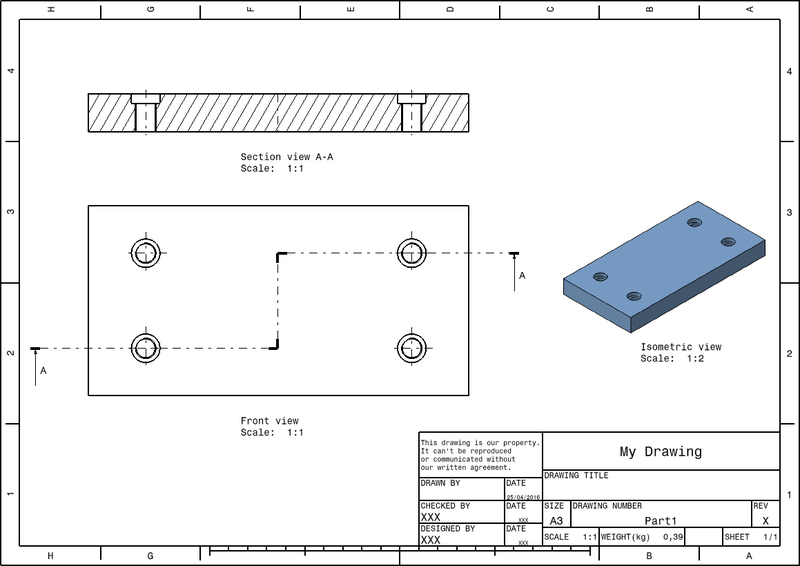 How to edit custom settings between 3D part and drawing on Views (Scale and Orientation, Dress-up (Hidden Lines, Center line, 3D Spec, 3D Colors, Axis, Thread, Fillets, 3D Points, 3D Symbol, View Name)). For more questions I`m available to ask them on the comment form. Enjoy!